With self-driving and smart cars becoming more prevalent, Lyft has partnered with Aptiv to offer passengers a ride in robot taxis at CES 2018 in Las Vegas. 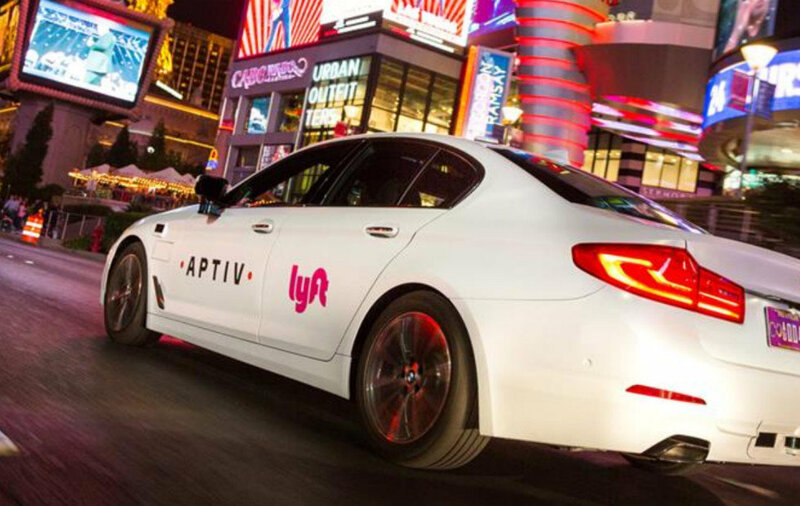 Aptiv, a self-driving technology company, and Lyft will offer people rides in these self-driving cars with the help of a safety driver behind the wheel. These cars will only travel to a select 20 preprogrammed locations, however, limiting destination points for passengers. Self-driving cars are a popular topic at CES and up until this point, demonstrations mainly took place in closed, contained parking lots. Lyft and Aptiv are taking a bold risk in demonstrating their technology on public roads, bringing pedestrians, passengers, and other drivers into the experience. Smart vehicles will pick up passengers at the Gold Lot of the Las Vegas Convention Center from January 9th-12th. These eight smart BMW 5 Series sedans will be available to passengers, who must sit through a brief lecture regarding the importance of automated driving at the beginning of their drive. Aptiv aims to teach people about the positive impact that self-driving cars have on the community. Despite the car being self-automated, a safety driver will sit behind the wheel in case the car comes across a situation it is not equipped to handle. An "in car host" will also tell riders about the features of the car. Beyond Lyft and Aptiv, the city of Las Vegas is also operating a fleet of self-driving shuttles, available for CES attendees to ride. Keolis and Navya, the two companies in charge of the shuttles, will also deploy a fleet of self-driving taxis for those attending the tech conference. CES 2018 takes place January 8, 2018 to January 12, 2018.